Includes six seasons of action-packed madness! Dr. Venture is a failed super-scientist living in the shadow of his legendary father. His twin sons Hank and Dean are just two pie-eyed obstacles between him and what's left of his dreams. Their loyal bodyguard, Brock Samson, has his meaty hands full protecting the Ventures from the malevolent Monarch and an endless parade of supervillains, rival scientists, astronauts, mummies, conjoined twins...and the demons within their very own souls. 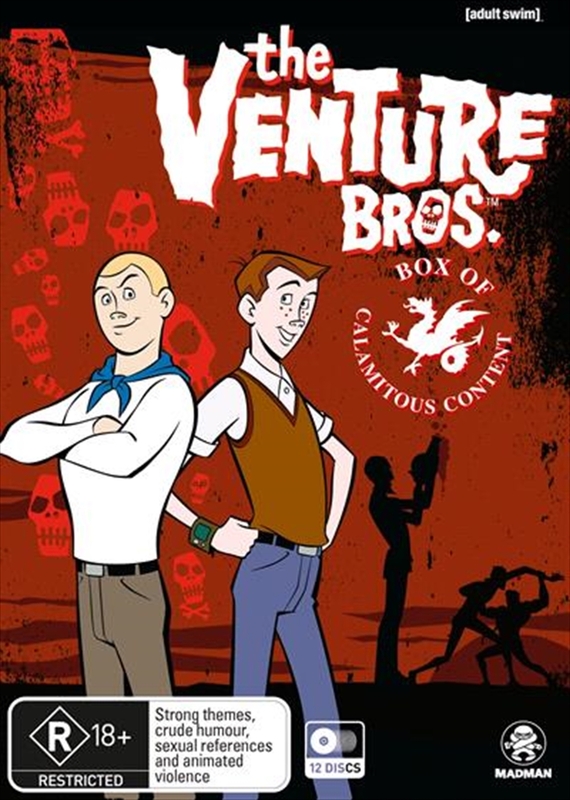 Includes seasons 1-6 of The Venture Bros.